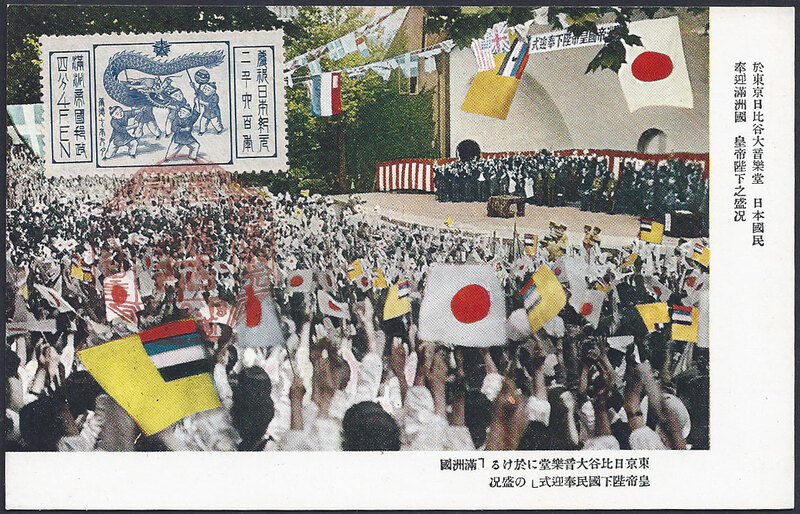 2600th Anniversary of the founding of Japan. 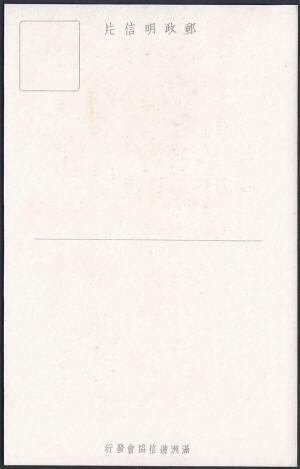 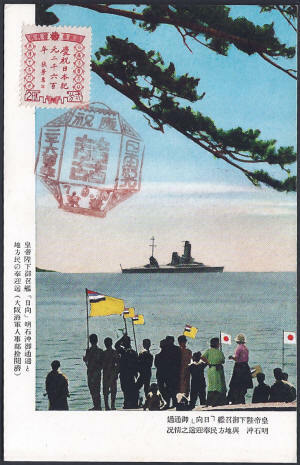 Issue Date 19th September 1940. 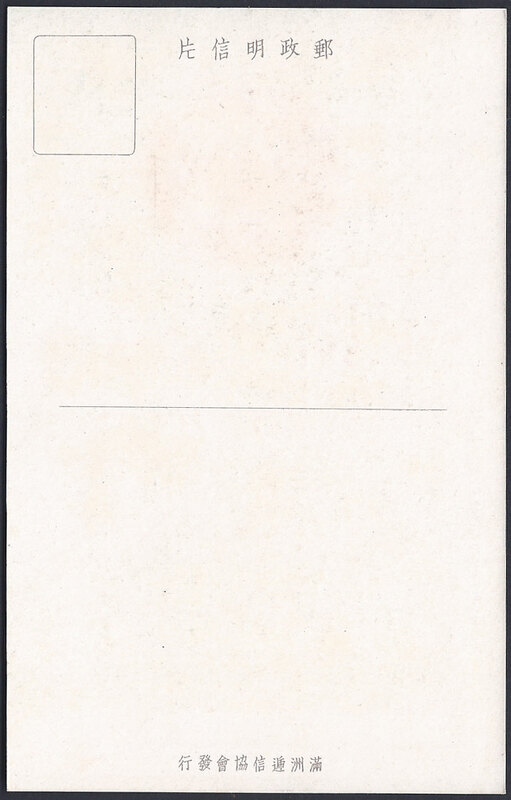 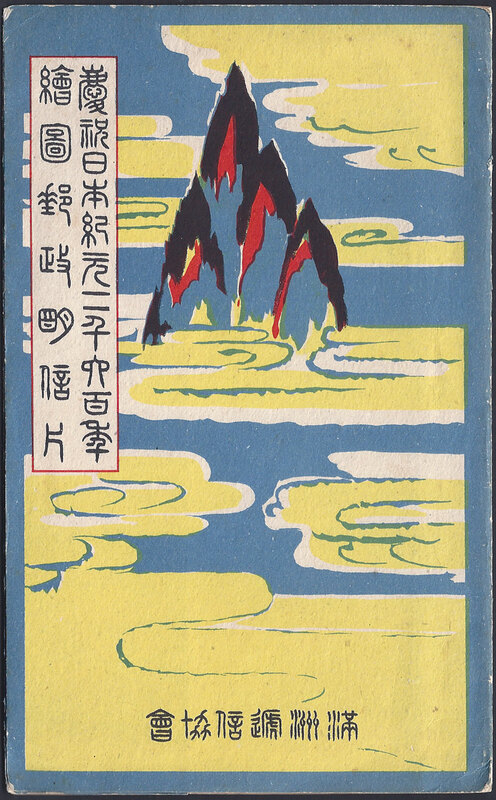 This is a set of six picture postcards issued to celebrate the 2600th Anniversary of the Founding of Japan. 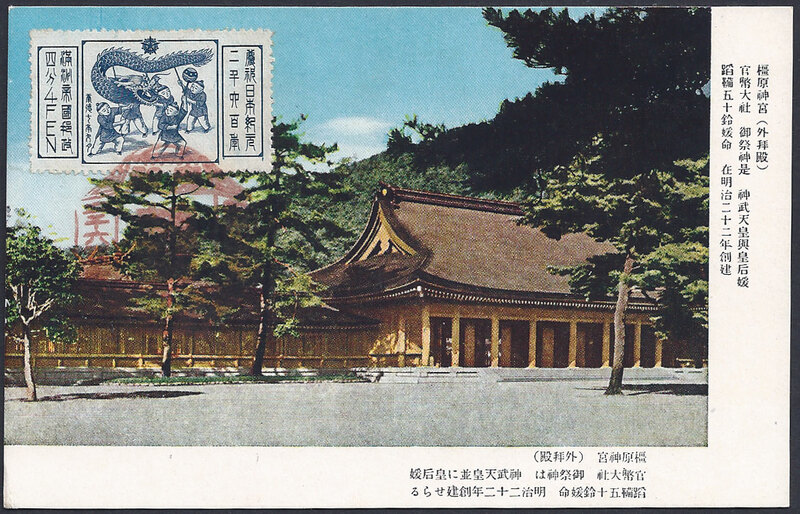 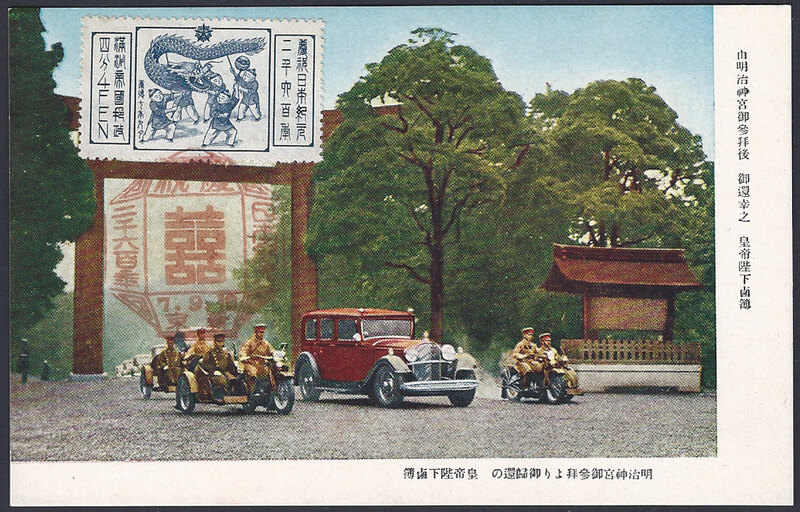 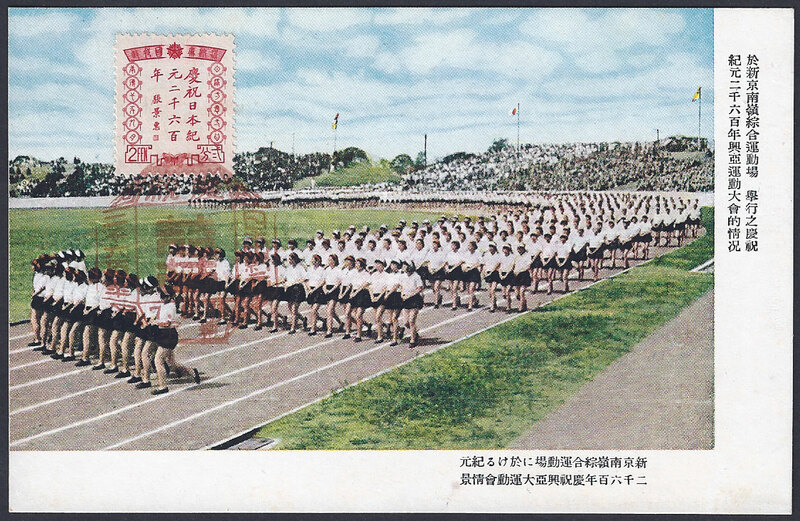 Celebrating Japan's 2600 years Pictorial Postal Postcards. 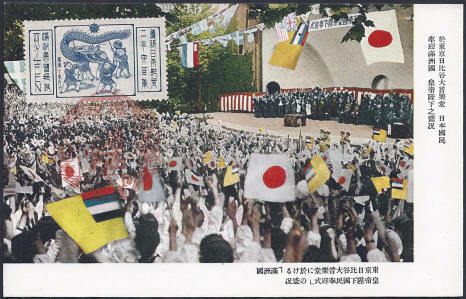 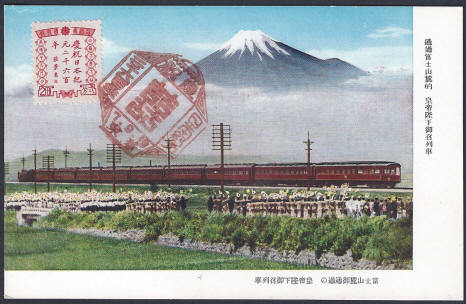 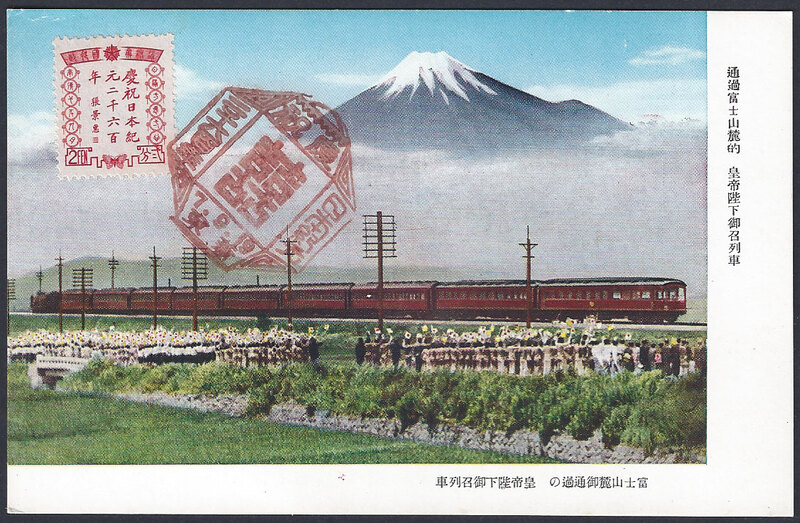 The location is in Tokyo and the scene is the Japanese people's honouring of the grand event of the "Manchurian Emperor's Decent on to Earth"
Passing through the rich mountains scenery - the Imperial Train.